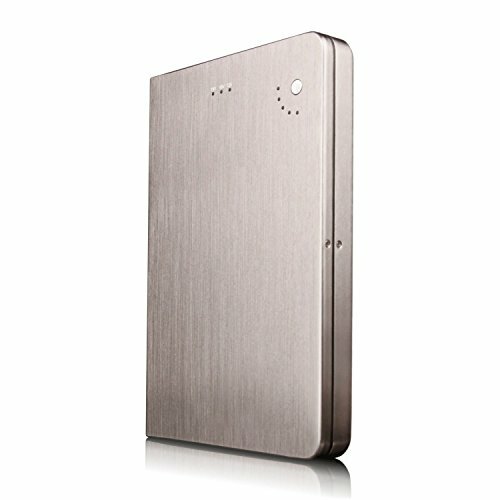 28000mAh of capacity, provides a full charge to most laptops or approximately 10 cycles to most smartphones. Equipped with two outputs for greater versatility: 1 DC 12V / 4A, 16V / 3.5A or 19V / 3A port and 1 USB 5V / 2.1A port. Slim and stylish aluminum body ensures efficient heat dissipation, lighter weight, and durability. 4 smart LEDs keep you updated as to the remaining capacity. Package contents: 1 Olympia 28000mAh External Battery, 10 phone connectors, 10 laptop connectors, 1 USB cable, 1 DC power cable, 1 AC 100-240V power adapter, 1 user manual, 1 of each EU/UK/US adapter.